We love ice skating and we've skated at the Galleria Ice Skating Center before but this was our first time to be there during the Christmas holidays. The Macy's Grand Tree in the middle of the rink made it all feel so magical! It is an amazing 95 feet tall and decorated in red and gold. It's absolutely stunning. The ice skating rink is smaller than most rinks in our area and with the tree in the middle it is even smaller than usual but it was still loads of fun! We haven't been skating in a while so Rachel hugged the wall and the small rink was nice because she only had to go a short trip around to make it back to the exit. After a few trips skiddish trips around like that, she remembered how to do it and was skating around on her own. Ice Skating at the Galleria was such a perfect way to enjoy time with friends. We went with our friends from the Coppell Homeschool Association and had a great time. I think it has re-sparked an interest in ice skating for both of my kids. On Saturday, December 17th, at 6:00 pm there will be a fun performance on the rink at 6:00 pm featuring a back flipping Santa and professional ice skaters. I'd love to see that! Of course, once you are done ice skating, there are plenty of restaurants around the rink to enjoy lunch like Five Guys Burgers, Genghis Grill, and Luciano's Italian. We didn't stay for lunch though because Stuart was getting off work around that time so we headed out to enjoy lunch with him. 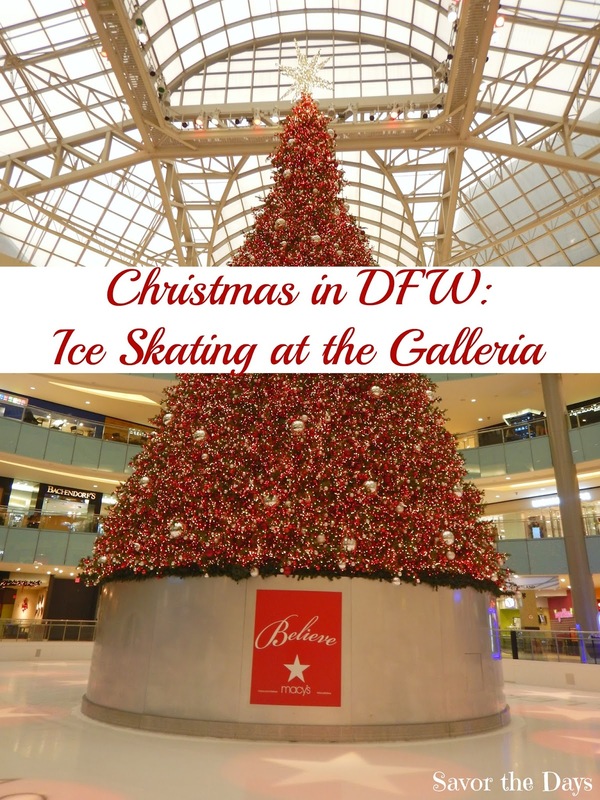 The Galleria Ice Skating Center is located at 13350 Dallas Pkwy, Dallas, TX. I'd recommend parking in the Red Garage at the mall. Multiple session and skate rental discounts are also available - Purchase 10 public sessions for only $8.50 per session! Purchase 10 skate rentals for only $25.00. Save $5.00! Gather up at least 10 of your friends and receive a group rate! For more information on Public Sessions at the Ice Skating Center, click HERE. You can also visit the Galleria Ice Skate Center on Facebook.